Brand new Residential Park Home situated on the Isle of Purbeck in Dorset, a gateway town for exploring the Jurassic Coast, the popular resort of Swanage is the ideal location for those who wish to enjoy the quieter life, with the luxury of having local amenities, the beach, cafes and restaurants on your doorstep. 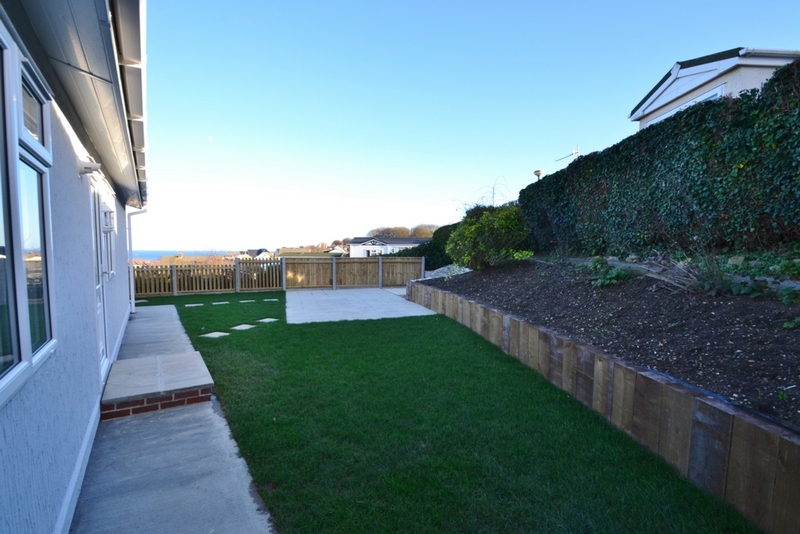 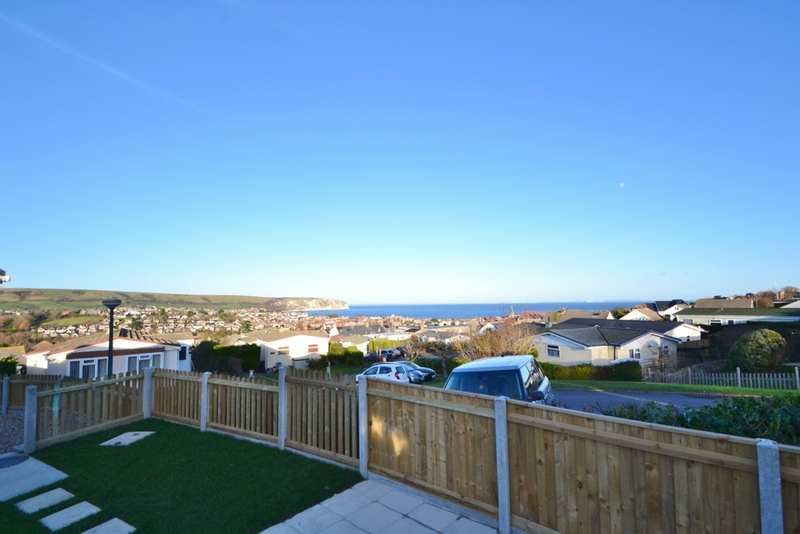 This brand new 40' x 20' Custom design Prestige, two double bedroom park home will enjoy fabulous views over Swanage Bay on a quiet, well-kept and friendly residential park. 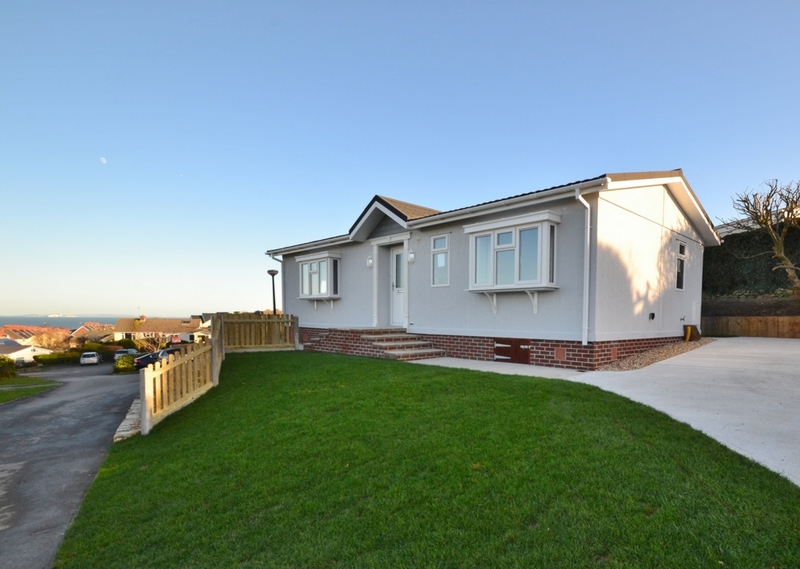 A fully furnished park home, complete with a fully fitted kitchen with integrated appliances, flooring throughout, curtains and landscaped garden with shed and driveway, meaning all you have to do is move in! 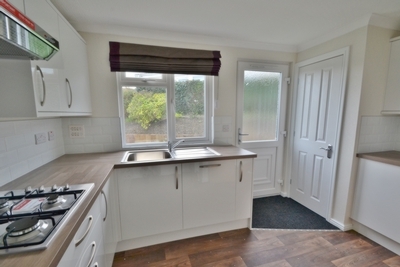 Contemporary kitchen overlooking the garden, with white units, laminate worktop in the colour 'grey oak effect' and sugar oak laminate flooring. 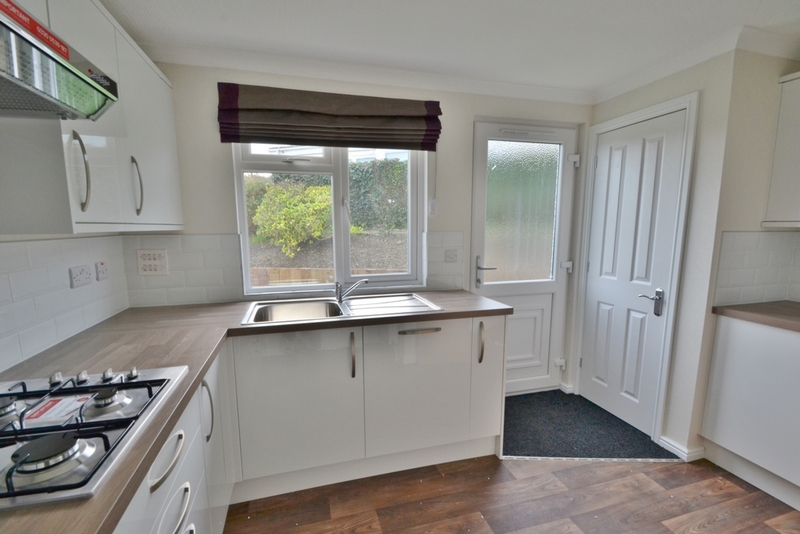 This kitchen features integrated dishwasher, washing machine, eye level single oven and microwave, gas hob with extractor and fridge/freezer. 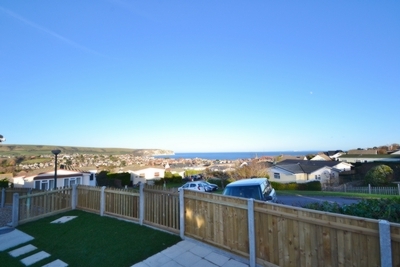 Beautiful lounge diner with spectacular views over looking Swanage Bay. 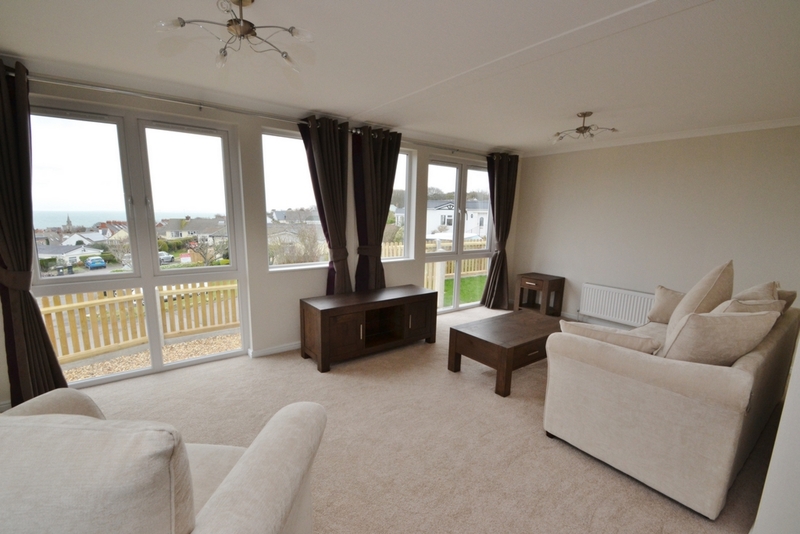 Complete with oak TV cabinet, coffee table, three seater sofa, two arm chairs and curtains. 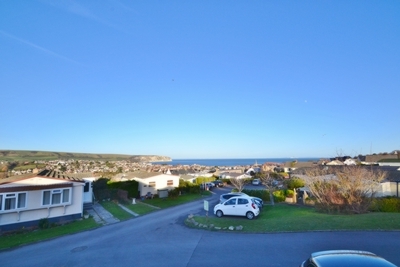 Sit and enjoy dinner with a choice of views, either over looking Swanage bay or overlooking the front garden. 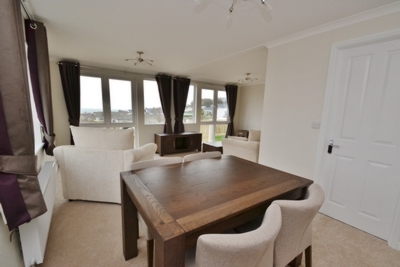 Complete with oak dining table with chairs. 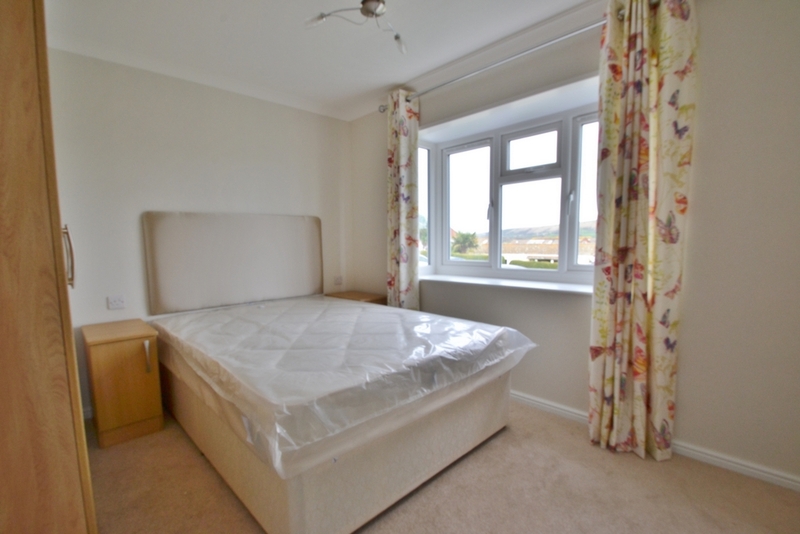 This fabulous master bedroom enjoys views of the garden and features a walk in wardrobe and en-suite bathroom. 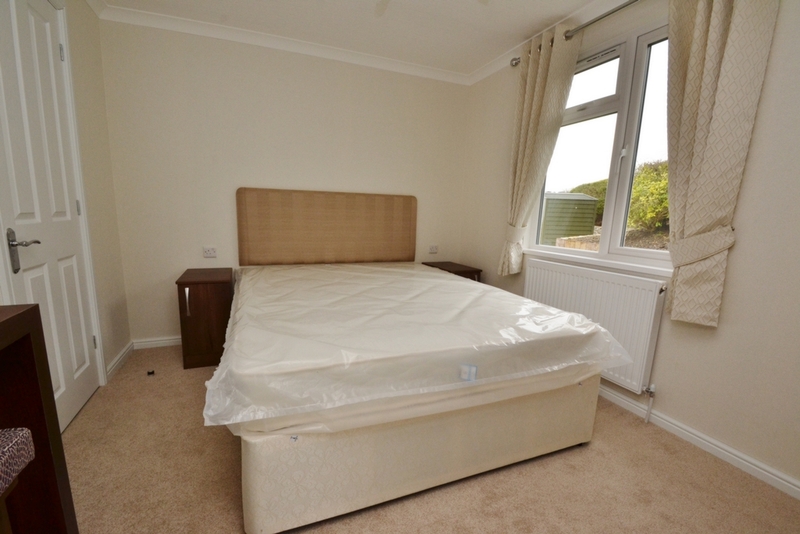 Neutrally decorated with carpet flooring and curtains, this room is complete with a 5ft double bed, dressing table and stool and two bedside cabinets. 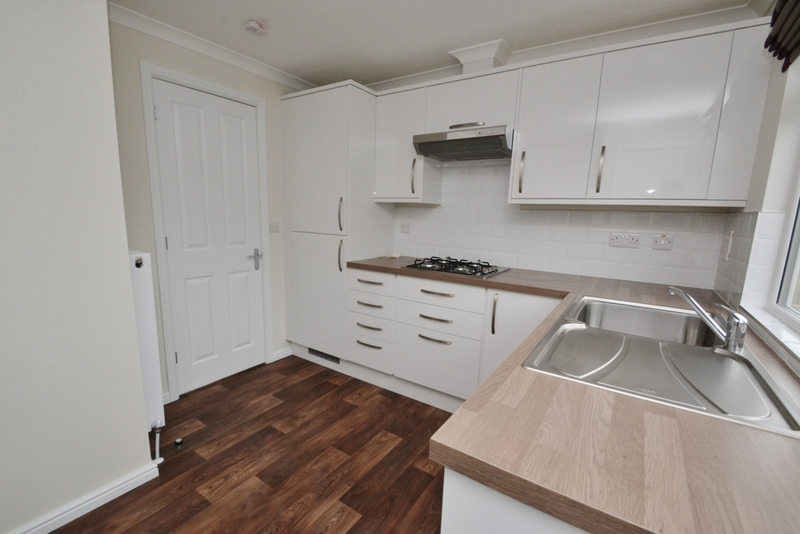 White tiles and Golden oak laminate flooring. Features a white suite with chrome fittings, shower and mirrored cabinet. 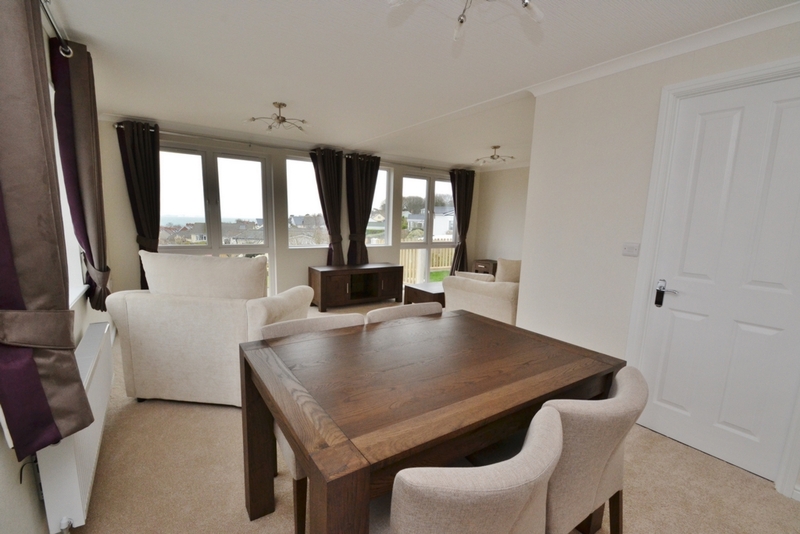 Features dark walnut shelving and a hanging rail. This great additional bedroom enjoys views of the garden. 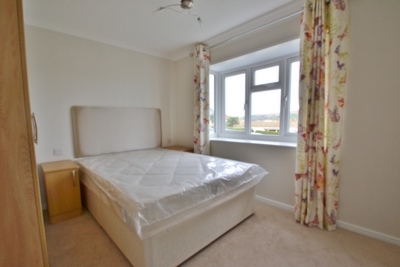 Neutrally decorated with curtains, this room is complete with a 4ft'6 double bed, wardrobe and two bedside cabinets. 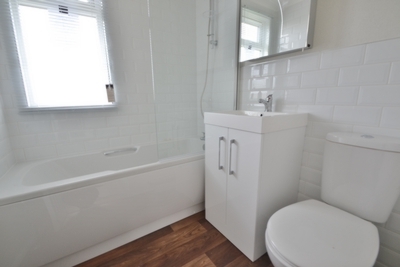 Wet areas tiled in white and Sugar Oak laminate flooring. Features a white suite with chrome fittings, over head shower and mirrored cabinet.